Sr. Anne Jordan, PBVM, has spent much of her life working with volunteers in Sydney, Australia to care for people who are chronically homeless, recently incarcerated or suffering from addiction. She built her organization, Cana Communities, on the model of creating a community that values creation, expresses celebration and cares for people with limited options. 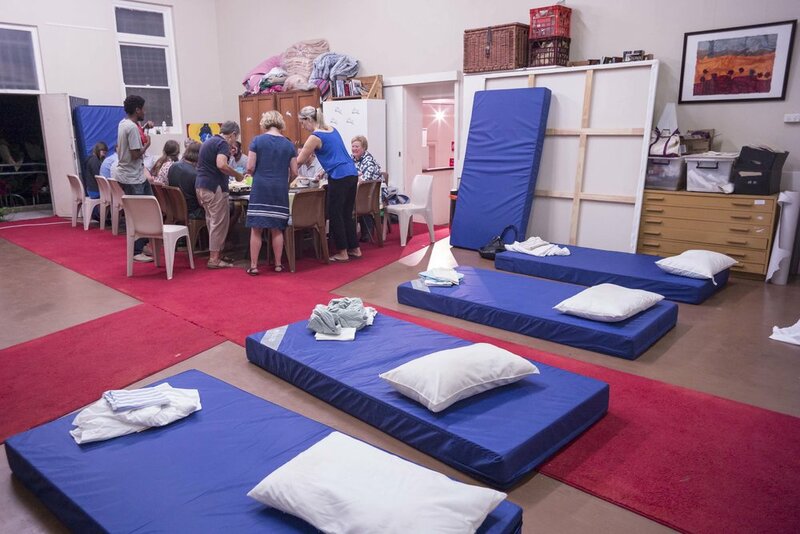 Cana Communities manages transitional homes and shelters throughout Sydney, as well as a farm that provides employment and produce to be sold in markets and retail stores. Through these outlets, Cana serves 45,000 meals and provides 13,700 shelters per year. Their 700 volunteers work to restore a sense of belonging and value to each guest, offering support to their clients when they leave the program. Cana Communities focuses on relating, belonging, connecting, listening and providing opportunities. Sr. Anne leads this work with kindness, compassion and acceptance, willing to welcome and serve anyone.